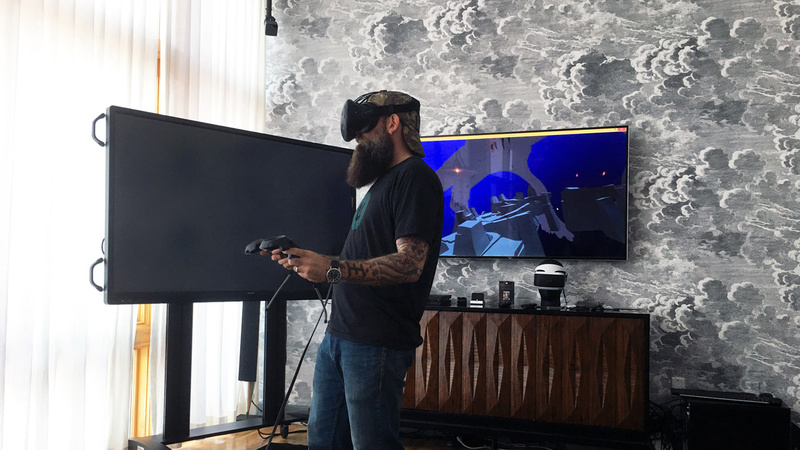 On June 7th 2017, The Mill’s New York studio embarked on a day of tech, art and immersive experience, inducing wonder, play and excitement for over 500 members of the advertising and tech industries. 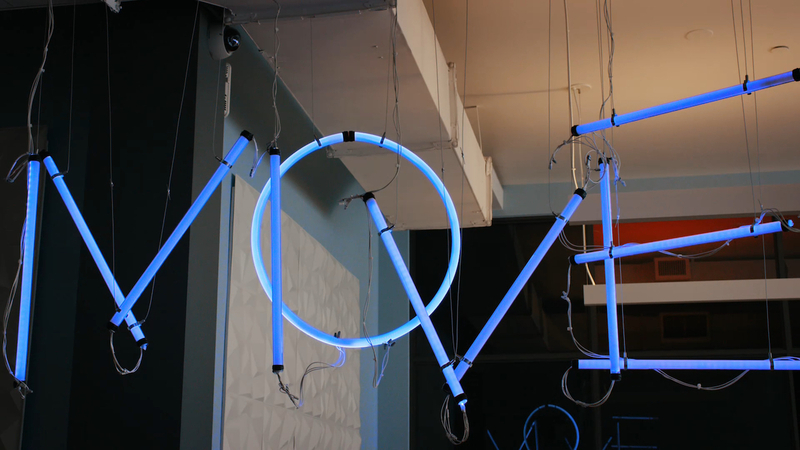 Move Me was a one day event that featured new, original artworks each concepted, developed and fabricated by The Mill. These artworks incorporated VR, AR, robotics, biometrics, game engines, and data visualization. They explored creative possibilities through the collision of humans and technology. A gesture responsive robotic mural. 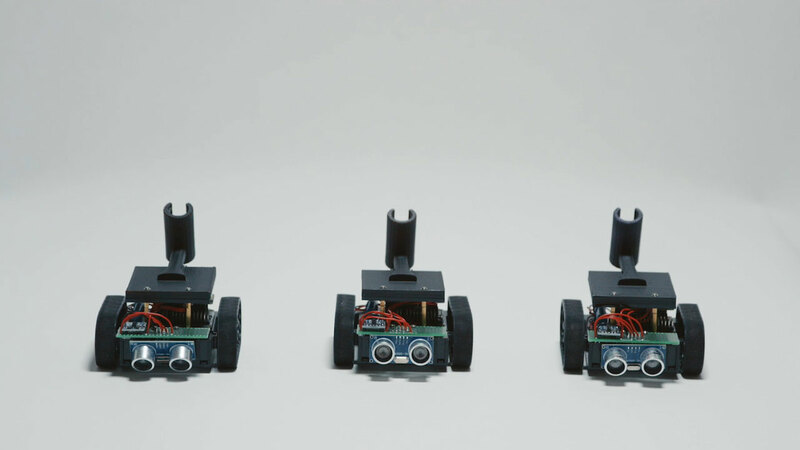 Mimetics employs four robots equipped with ink that react to gestural interactions from visitors, to create a translation of human behavior through robotics. The final result; a crowd sourced collaborative mural and historical record of interaction. The mural is created by event guests, who by giving short gestures using Leap Motion, affect behavioural change in the robots, each of which have been assigned with their own gesture and colored ink. Take a look Behind the Scenes of Mimetics. Mixed reality virtual puppeteering karaoke madness. With a llama! Pop Llama is an interactive installation that allows users to gesturally control a real-time CG character, lip syncing along to diva-licious anthems, to create their own mixed reality music videos. Pop Llama demonstrates real-time CG characters you can interact with and animate live on set. This is a boon to filmmakers and another stepping stone towards real- time mixed reality interaction. Find out more about Pop Llama here. A dual player augmented reality game using the Microsoft Hololens. Neon Knights is a two-player cooperative Augmented Reality music game, that pits you against cosmic forces trying to thwart your awesome journey through multiple dimensions. This is the first ever cooperative AR music game, and it combines laser beams, cosmic prisms and synthwave music. Awesome. Cooperative AR gaming is relatively new territory. The Mill designed and coded this experience from scratch, in addition to writing and performing the music. Take a look Behind the Scenes of Neon Knights. See Sound is a generative artwork experience that creates sound sculptures based on the human voice. It combines multiple voice loops create bespoke human-driven art. Each user has access to a microphone and hardware interface. They can trigger different visual behaviors and materials based on play. They can then initiate timed loop recordings of their voice and layer different visual structures to create complex sculptures and music compositions. Find out more about See Sound here. 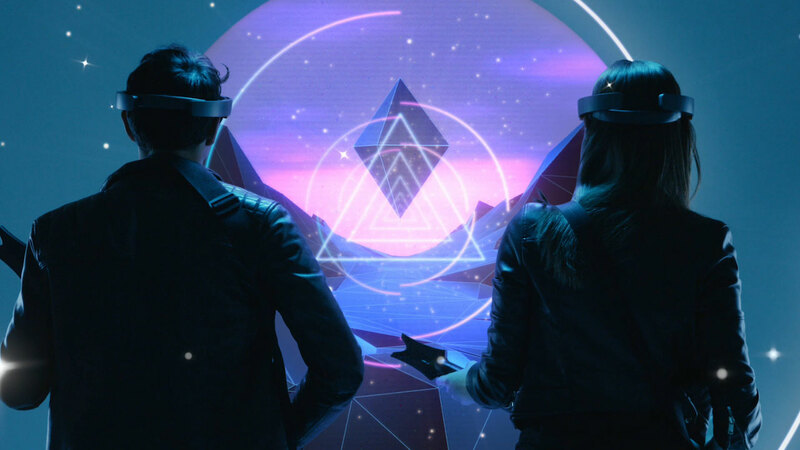 STRATA is a responsive VR experience driven by biometrics. STRATA tunes into your heart rate, breathing, stress levels and brain waves to remix a game engine world around you. The stunning immersive experience connects us to our own emotional state, teaching us to calm and focus our minds. Based on biofeedback techniques, the visuals within STRATA respond and react your physiological and neurological data, this in turn helps create awareness of the user’s autonomic nervous system. The goal is use our own biometrics as a controller, calming oneself to levitate upwards through five fantastical worlds. Hoova is a room-scale VR music video that explores a dark, dystopian future and investigates topics of isolation, dependency and identity in virtual reality. Set to Warp artist Clark’s latest track ‘Hoova’, the immersive experience takes an eery look into a version of the future, wherein each character is part of a frightening cycle in which they become consumed by the VR experience they are witnessing. An interactive film viewed through the lens of a car configurator. The Mill joined forces with Epic Games and Chevrolet to create the first ever interactive short film to blend live action film with real-time VFX: The Human Race. In order to achieve this world first, we used custom proprietary tools developed by The Mill to create a film that renders VFX in real-time at 42 milliseconds per frame. We paired The Mill Blackbird, Mill Cyclops and Mill Stitch with the Unreal Game Engine, which allowed us to bypass the hours it normally takes to render traditional VFX Shots and make the cars in the film completely configurable.